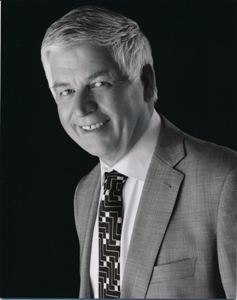 Errol Burtenshaw Air New Zealand’s Manager of Operational Integrity and Safety and the current holder of the Director of CAA’s Individual Safety award is our guest commentator this week. Errol’s contribution is the story behind the introduction of the 787-9 into the Air New Zealand fleet later next year. As his commentary unfolds you’ll read that the 787-9 test aircraft presently flying in Boeing colours are also due to enter the AirNZ fleet heralding this and a number of other fleet additions and the exit of the B747-400. As he remarks you know you’re getting older when a fleet type you inducted into airline are now exiting. Errol promises we will have more next year as the story unfolds……. Air New Zealand is excited that at last the B787-9 is flying! – shown below on it’s very first take-off from Paine Field with a very proud Boeing manufacturing team, staff and guests witnessing this historicevent. This aircraft is our future ZK-NZC,currently under US registration will be the fourth aircraft to be delivered to Air New Zealand. However, until delivery it leads the Boeing 787-9 flight test and certification programme. 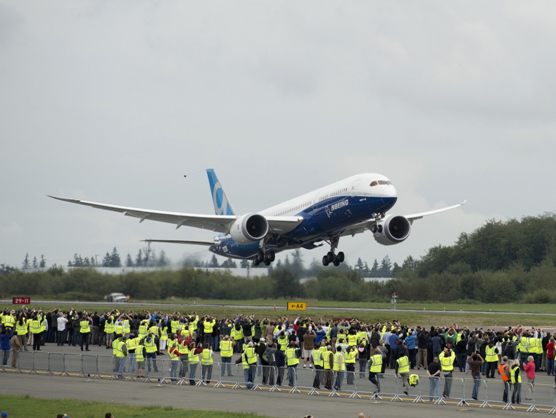 Boeing have stated that the 787-9 is much more than the next member of the Dreamliner family. As well as being a longer version of the 787-8 carrying more passengers, the latest version has greaterrange due to advancedtechnology andinnovation allowing the 787 efficiency bar to be raised even higher. Following our first 787-9 delivery mid 2014 the remaining 9 aircraft will come in rapid succession through until October 2017 plus we still have options for a further 8 aircraft. The 787-9s play a core role in our Go Beyond strategy, as they will allow us to improve profitability on the Pacific Rim. They are multi-purpose aircraftthat will not be dedicated to long-haul, but flexible to service our other International destinations. The aircraft will eventually allow the B767 Fleet to retire and enable us to grow beyond our current network foot print. The introduction of the 787-9 aircraft along with the 777-200ER refit programme commencing early 2014 will allow us to offer our customers a consistent on board experience across our entire fleet. The confirmed destinations for the 787-9 include, long-haul destinationsShanghai and Tokyo and mid-haul destinations including Perth, Honolulu and Papeete. A lot of research has gone into the four distinct seating selections that will meet the customer expectations across the markets the 787-9will serve. The Business Premier cabin will feature the Air New Zealand’s signature chalk coloured luxurious leather armchairsthat convert into an indulgent lie flat bed, complete with memory foam mattress, cosy duvet and two full size pillows. In the Premium Economy cabin the airline has worked with US seat designer Zodiac on a customised seat best described as Business-lite.This comfortable ink coloured luxury leather seat will have a 41” pitch, a generous 5” wide armrest and a leg rest withextendable foot support which will allow passengers to really stretch out and relax. The Economy cabin will feature 16 rows of Air New Zealand’s unique and highly popular Kiwi designed Skycouch seats. These sets of three seats convert into a sofa-like flat surface for both rest and relaxation. The standard 787-9 Economy seat will be supplied by US manufacturer Zodiac and customised to Air New Zealand’s specifications, including a slim-line seat back to enhance the feeling of space, sculpted upholstering and a more flexible headrest. The flight test programme for ZK-NZC is progressing well. Currently it is in the“flutter and flight control testing” phase, where the handling characteristics of the aircraft at different altitudes and speeds are analysed. This is a long and laborious process where all possible flight envelopes are examined. The second flight test aircraft ZK-NZD has also begun its flight testing regimen. The third 787-9 aircraft, powered by General Electric engines has also joined the flight testing and allthree aircraft will have are flying an intensive schedule through to mid next year. A fourth “production aircraft” will also be flown fully fitted out as a normal airliner with seats, galleys and crew rests etc,to demonstrate ETOPS (Extended range Twin Operations, or Extended Diversion Time Operations (EDTO) in New Zealand terms), aircraft functionality and reliability. The fifth 787-9 being built will become ZK-NZE(livery scheme shown below). Thisis the most exciting one from our perspective as it will be the very first one delivered to us. Many components of this aircraft are already being produced and will start to come togetherin the Everett factory in January next year. 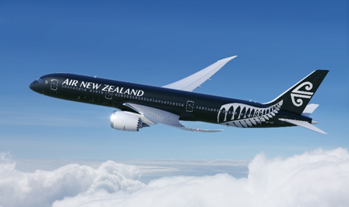 Overall, 2014 will be a very busy year for Air New Zealand, with the addition of three B787-9 aircraft, two 777-300ER aircraft, three A320 aircraft and one ATR 72-600 aircraft. Our Entry Into Service (EIS) teams are therefore extremely busy ensuring smooth entry into service happens with no surprises. I shouldn’t forget to mention that the expansion of the operation also sees the airline training system havingunprecedented numbers of crew flowing through to resource the new operations. Also this year preceding the delivery of the new aircraft, has been the introduction of two new Simulators. One B787-8, the other a secondA320 simulator. Both of these simulators are CAE Series 7000 devices with the very latest technology available. Both simulators will be undergoing CAANZ acceptance processes within the next week. In addition we have also just installed a Beechcraft 1900D Simulator that almost looks larger than the aircraft itself. This will be a great asset to the 1900D training programme. It is exciting however to get the first brand new B787-9s smelling like a new car,the smell of leather permeating the cabin, zero blemishes on the structure which we would like to maintain for the life of the aircraft. That’s where our quality and safety management systems come into play. I hope that you have found this update interesting, and I intend to follow-up with some more articles next year about other aspects of the B787-9 introduction. Regulations Review Committee – in our final submission, jointly made with the New Zealand Aviation Federation – reflecting the anger and depth of feeling over the charges imposed on 12 November last year, we made the point that if the Committee does nothing there will be a transfer of wealth of around $12m from the sector to the Regulator over the next two years. We pointed out the inequitable treatment aviation had received relative to Maritime – mind you Maritime were similarly disadvantaged until the Regulations Review Committee stepped in – click here for submission. Write urgently to the Minister expressing our concerns about the impact of the charges. request a meeting with him in the New Year – he may take the view that he is unable to meet us until after the Regulations Review Committee reports. seek a meeting with the CAA Board and the Secretary of Transport in the New Year to express our concerns. ask for a meeting in the New Year with Treasury, MOT and CAA officials present, the purpose being to ensure a principled approach is adopted. 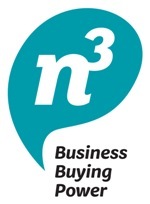 Members are asked to meet with their local MP’s and discuss the impact on their businesses. continue to work with CAA on the overhaul of businesses systems and processes, especially in the licensing and medical certification areas, to see if more immediate relief is available. The alternative is to wait until June 2016, which is the earliest date an overhaul of charges might be possible. From all of the data you have provided we now have a very good feel for the downstream impact of these charges. It is not simply the increase in rates, but the amount of time being charged for certain activities appears to have increased by around one third. To be fair to the CAA, their business and accounting processes were never that accurate (unlike most accountants, doctors and lawyers) to be able to precisely identify time spent on different activities. Given the new charges better record keeping may have been introduced. The Ministry of Transport is the lead agency on this issue and they assured the Committee that Maritime and Aviation were treated in an equitable manner. However, it is difficult to reconcile the more precise instructions from the Minister of Transport given to Ministry officials in the most recent review of Maritime charges and the complete absence of such an instruction in any of the documentation we have received. If you read these instructions carefully, including the repeated reference to “ability to pay” and longer phase-in of charges if there is a possibility of economic harm, we cannot help but think that this would have materially affected the outcome. The Regulations Review Committee has now received all evidence. Officials will be given an opportunity to respond to our most recent submission which, over and above the inequitable treatment, makes the point that by their own admission the sector is cross subsidising government services and thus the charges contain an element of unlawful tax. The Committee then writes its report and files this with Parliament. While we optimistically hope for a favourable outcome and all or some of the charges are disallowed, the reality is we have to significantly intensify the dialogue at all levels. We have been very careful to distinguish that our concerns are not about the decisions of the CAA Board and management to modernise the organisation – we remain committed to this process. And our complaint is not about the investment CAA is making in its people, business systems or processes. Our complaint is that government should fairly pay for the benefits government derives from these changes. Naturally the government members of the Regulations Review Committee struggled with this proposition, whereas the opposition members of the Committee did not –the Opposition chairs this committee and it is was very clear that the Opposition chairwoman has a very good grasp of the issues, but there is a struggle over the very narrow boundaries within which any complaints to this Committee can be considered. An observation – if this industry is to be considered a serious player we need to speak with one voice. It was very empowering to have our Federation colleagues Ian Andrews and Pat Lyford from AOPA part of the team with the President of Aviation New Zealand. This truly was the power of “one Industry one Voice” in action. Further delays with the introduction of SMS – it must be mighty frustrating being an Official. We understand the papers are ready to be considered by the Executive but there’s just no time until late in the first quarter of 2014. Pushed much further down the track and it’s into the Election cycle which, as we know, is many promises but no decisions. So don’t anticipate anything out until maybe late April. Australian aviation sector under review – Safety panel no place for rage click here. An issue that should be considered is whether the New Zealand industry makes a submission. The development of the single aviation market has stalled and while we know there is dialogue between the Regulators, this may be one avenue to get mutual recognition extended across the board – your views would be appreciated. 11 December Aviation New Zealand Board meeting; Aviation Council meeting - as participants in the industry you are welcome to attend the Council meeting which will commence at 10 am, level one Aviation House 12 Johnston Street. Our application to the Energy Efficiency and Conservation Authority (EECA) for assistance to fund an energy efficiency programme in the aviation sector has been approved. The first stage is to recruit companies in the engineering; manufacturing; and maintenance, repairs and overhauls sectors of the industry to undertake subsidised energy assessments at their facilities, develop a company wide energy policy and implement an action plan. The costs of assessments will be shared between the companies and the EECA funding. Companies participating in this programme to date are typically achieving savings of 14% to 17% of energy costs, with 50% of savings coming in the first year. For example, 49 companies are participating in the Plastics NZ programme and they are achieving savings, on average, of $46,000 per year. AIRCARE™ – with potential further delays to the regulated introduction of SMS from an aviation safety perspective – remember you already need it to fulfil your Health and Safety in Employment obligations its coming down very much to a decision as to whether you want to position your business ahead of the pack (and there are around 60 companies now who have done this). But AIRCARE™’s more than just being about an integrated management system it also deals with Noise issues and from our perspective these are most definitely intensifying. In the office we are fielding at least one of these a week: this week from a very angry and frustrated motelier whose wilding pines were being sprayed. Now he didn’t object to the spray but at 5.30 in the morning it just annoyed the heck out of all of his guests. We know for a fact that the operator was not AIRCARE™ accredited because the Operator told us that. He was very well informed as to his right to make a complaint under our programme and he was extremely annoyed to find out that as an Industry the programme was voluntary. He indicated he was going to complain to his local MP Nick Smith – I said that was an excellent idea as the Minister has a passion for eliminating noise!!!! Airwaves, produced by The Aviation Trader in Australia, carries an article on the New Zealand helicopter industry in its December issue: www.traderonline.com.au Airwaves has also been appointed as the official journal of the Australian Helicopter Industry Association. A good way for us to promote the NZ industry to the AHIA and its contacts base of 4000, of which 50% are outside Australia. There is now a New Zealand Aviation Group on Linked-In, and a China subgroup which is limited to New Zealand companies only. Both have recently been launched. The New Zealand Aviation Group has 40 members already. We participate in both groups. Good progress is being made with Pt 147 to make us a more attractive destination for engineering training. More work still before we can address some of those barriers around pilot training.